This exquisite new book, The Alchemy of Color Knitting, by Gina Wilde provides the building blocks of colour theory as well as a colour lesson with each pattern. 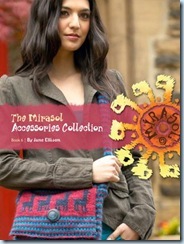 The book is divided into three sections: “Monochromatic Colour,” “Working the Colour Wheel,” and “Hue, Value and Intensity.” There are 25 projects in all, including patterns for wraps, pullovers, shawls, hats and an exquisite Peacock Cardigan. 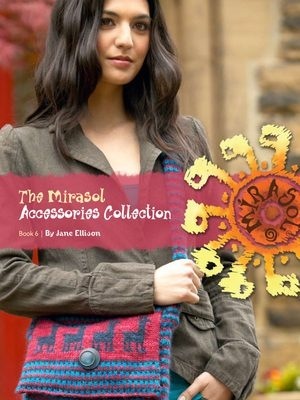 You’ll find sweaters galore in the Araucania Collection Book 3 by Jenny Watson. Long, short, pull-overs, cardigans, you name it, it’s here. Great patterns that will keep you warm on even the coldest winter day. 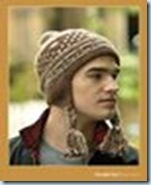 This Kinglet Hat is a fast knit on 6 mm needles using four skeins of Sulka in contrasting colours. Great gift for the man in your life. The Arrowhawk socks will keep anyone’s tootsies warm and cozy. They have llamas dancing around the ankles and can be worn over other socks or just on their own. Grab four skeins of K’acha and your feet will kiss you every time you put them on. Another favourite is the Love Hearts Blanket. 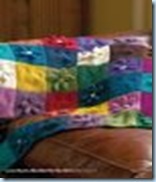 Using a basic square shape, this blanket can take on any look you wish, just by changing the yarn or colours. 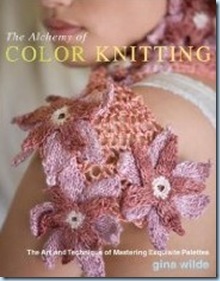 This one is knit using a variety of colours of Qina. Plus, we just received a shipment of the new Interweave Magazine, Knits Accessories. 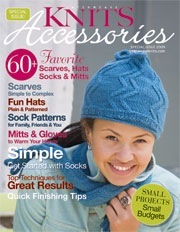 This special issue has lots of small project gift ideas, from hats, socks, mitts and gloves that would make anyone happy. This entry was posted on Sunday, November 29th, 2009 at 10:25 pm	and is filed under Uncategorized. You can follow any responses to this entry through the RSS 2.0 feed. Both comments and pings are currently closed.